Welcome to End Times Bible Prophecy! Gog's Coming War - Recently, I was listening to a nationally syndicated radio program, and the host made an astonishing observation. She described a recent trip she took to Israel. She talked about looking over the border into Syria. Then she dropped a line that grabbed my attention. She said, "When you look over the border today, you're not looking at Syria anymore. You're looking at Russia, Iran, and Turkey..."
North Korea and Bible Prophecy - North Korea has nuclear weapons. They're working to build long-range missiles. And many believe dictator Kim Jong-un is insane. He's promised to blanket his neighbors in "a sea of fire" and threatens the United States on an almost daily basis. To some, war is imminent, and they're fearful of what they see coming. But what does it all mean? How does North Korea fit into bible prophecy? 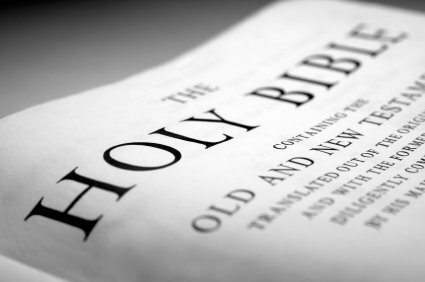 Does the Bible offer any insight? Unto Us A Child Is Born - December 25th is Christmas, the traditional day when Christians celebrate the birth of Jesus. This time of year, movies, TV shows, lawn nativities, music, and Christmas plays tell the story of the baby in the manger. Almost everyone knows this story. It's the story of Joseph, Mary, baby Jesus, the shepherds, and the wise men. But how many people realize the events of Jesus's birth were foretold hundreds of years in advance? The Convergence Of End Times Signs - Almost two thousand years ago, Peter prophesied about the end times. He said just before Jesus returns, people will openly mock the Second Coming. They'll say, "What happened to Jesus? I thought He was coming back? Yet everything remains the same as it has since the world first began" (2 Peter 3:3-4). I'll bet you've heard this argument many times. But is it true? Do you want to learn more about end times bible prophecy? Have you struggled to understand the prophetic writings in the Book of Revelation? If so, rest assured that you're not alone. You're one of the many reasons we created End Times Bible Prophecy, a site dedicated to helping people understand God's prophetic Word. Hopefully, this site will serve as a valuable resource in your effort to learn more about God's plan for the world and for you. In spite the large number of people who call themselves Christians, there's an astounding level of ignorance in regard to God's Word. And among those who do know a good portion of what the Bible actually says, only a small fraction understand bible prophecy and the events foretold by the prophets. The rebirth of Israel in a single day? The timeframe of Israel's rebirth thousands of years in advance? The timeframe of the Messiah's first arrival? Hundreds of events long before they occurred? This ability to foretell events in advance is what makes the Bible unique among all other books in the history of the world. It's verifiable proof of the Bible's authenticity, as fulfilled prophecy serves as God's personal claim of divine authorship. According to God, anyone who claims the authority of God must prove themselves by telling us "what the future holds," so that we can know "what will occur in the days ahead." The Bible boasts a lengthy track record of future predictions, and it contains numerous yet to be fulfilled end times prophecies scheduled for fulfillment in the near future. The timeframe of the Messiah's Second Coming? The rise of a global dictator? The Nav Bar in the left-hand column addresses some of the key topics related to end times bible prophecy. If you're new to the study of bible prophecy, pick a topic that interests you and explore. As you read, follow the links within each article to learn more about a given topic. You can also click here to read through all the articles on the site.